Your hand shower installation is rather easy, all you need are adjustable pliers, teflon tape, and some effort to get the job done. Make sure the immediate shower area, tile around the hand shower arm and shower floor, is protected from any parts or tools that may slip and fall. Have everything you need within your work area so they are available to you as you go through the installation process. If your replacing an existing hand shower, make sure your shower valve is turned to the off position, ensuring water from the supply line is not traveling to the hand shower. You will need to first use the adjustable pliers to remove the shower arm, to protect the exterior finish, you can wrap it with tape or use a dry rag. As soon as the shower arm has been removed, continue to clean any residual material that is left on the supply line pipe. If you are installing a hand shower for the first time, and your shower valve does not contain the manufacturer provided cartridge, you either have artificial or manufactured water stops engaged on your shower valve, which stop water at the supply line entry points, or you may have a modified pipe screwed in at the shower arm exit to stop water from exiting. To be safe, you can shut off the water supply to the bathroom or home during the course of the installation. If your cartridge was installed into the shower valve, you will need to make sure it is in the off position. If you have chosen a hand shower that comes with a sliding bar, you will first need to determine where it will be installed. The sliding bar is typically set at a height that supports the average height of those that will us it. Once you have a placement figured out, you can use a level and a pencil to mark the screw holes and draw a temporary line over the tile. You can carefully pre-drill the holes into the tile to decrease the likelihood of cracks. As soon as the holes are drilled, you can then proceed with installing the sliding bar by positioning the screws into the wall mounts and firmly tightening them, being careful not to over tighten the screws. 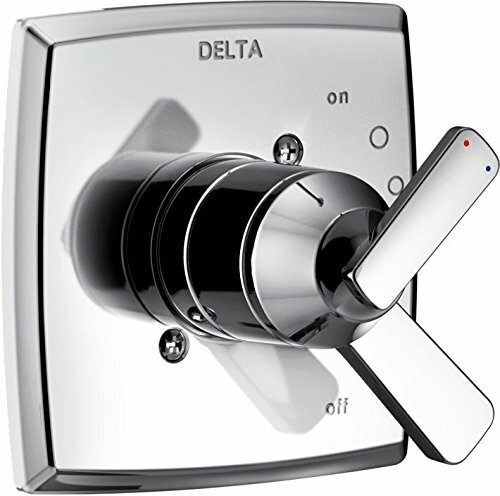 If your hand shower is part of a water supply system that includes a diverter, then it will be connected to the piping that leads from the diverter valve. Since this plumbing has already been completed, each manufacturer has a method for connecting the hand shower hose to the water supply pipe, either using a drop ell or wall elbow fitting. Bother will work the same, they will have a male thread connection that is ready to be connected to the hand shower hose. You will need to make sure the thread is clean, apply Teflon tape, and then firmly tighten the hose connection to the fitting. Next, prepare the shower arm for installation into the hand shower water supply pipe. Make sure the thread on the shower arm is clear of any debris, next apply the Teflon tape around the thread in the direction that it will be tightened. The Teflon will help in creating a proper seal and avoid and water leakage from the shower arm and water supply pipe connection. You are now ready to install your hand shower onto the shower arm that has been installed into the water supply pipe. You will be installing the hand shower mounting bracket, which will divert the water supply to the hand shower hose. If the mounting bracket has a gasket built into it, you will not need to apply the Teflon tape around the shower arm thread, refer to the hand shower product manual to determine which approach is best. You can then proceed with hand tightening the mounting bracket until it is suitably tight. Turn the shower valve to the on position and check to see if any leaks are readily obvious.